Training on video to reduce eye strain, increase visual clarity, and prevent vision loss. You can improve your vision—without glasses or expensive surgery. Meir Schneider is living proof: born without sight, Schneider refused to surrender to his blindness and instead began an intensive exploration of sight and self-healing systems. Now on Yoga for Your Eyes, he shares the total approach for self-healing that he used to reverse his own blindness. On Yoga for Your Eyes, this respected mind-body authority teaches a complete video course about his innovative methods for improving vision naturally. Watch and learn with Schneider as he shows you how to exercise your eyes back to health. Based on the pioneering work of ophthalmologist William Bates, these proven techniques draw from the principles of Tibetan yoga to relax and retrain the visual system, and help us see the world with less strain, greater acuity, and a more spacious visual field. Meir Schneider can see—and that's a miracle. 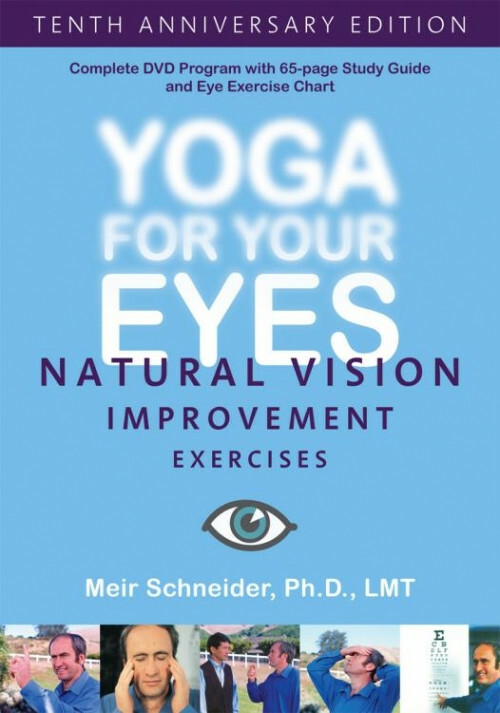 Whether you would like to improve your eyesight or learn the role that the eyes play in a complete wellness program, Meir Schneider's Yoga for Your Eyes is all you need. Includes a 65-page illustrated study guide and an eye chart.